Why review the Nikon D850 vs. Nikon D3400; surely it’s obvious which is better? Well, their similarities, differences, and shared features may surprise you. This comparison guide reveals all. Nikon introduced its D3400 in August 2016—about one year before the launch of its D850. The D850 sports a 46MP full frame sensor and the D3400 a 24MP APS-C type sensor. My no-nonsense approach cuts to the chase and breaks things down into plain English. This page digs into the differences between these DSLRs and the reasons for the vast price disparity. The bullet points below summarize the sections in this guide in that order. 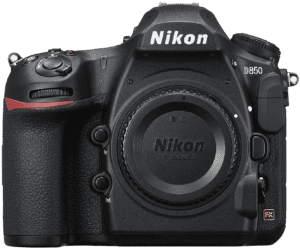 Why Consider the Nikon D850 over the Nikon D3400? Why Consider the Nikon D3400 over the Nikon D850? 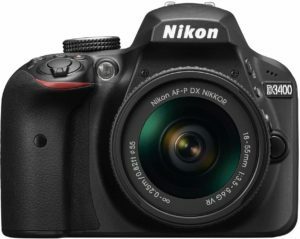 You may think these Nikon DSLRs are worlds apart because of the price difference. Yes, there are valid reasons for the D850’s much higher cost. Even so, these cameras do share some common strengths. They each have Bluetooth connectivity that lets them pair with other Bluetooth-enabled devices. Smartphone Remote Control is another feature that the D850 and D3400 have in common. The cameras both have decent-sized LCD screens, though the D850’s is slightly larger. The optical viewfinders are another common strength that provides easy framing and better control. Better flash lighting and control is possible thanks to the cameras’ hot shoes. And both models have the option to shoot in RAW file format for advanced image editing. Nikon’s D850 and D3400 both have Face Detection Focus that makes light work of portraiture. Above is a snapshot of the main features shared by these popular Digital-SLRs by Nikon. We’ve only scratched the surface, though. Keep reading to see what gives the D850 it’s much higher price tag. The physical differences between these camera bodies are evident at a glance. You can see from the front view that the Nikon D850 is a much bigger DSLR. The difference is close to 50%. It’s no surprise that the mid-sized D850 DSLR is also heavier than the more compact D3400. The extra heft is substantial, weighing a whopping 126% more than the smaller D3400. Weather sealing adds to the D850’s weight and is something the D3400 doesn’t have. Lenses also add to the carrying weight of any camera. Nikon’s D3400 has an APS-C sensor that’s smaller than the Nikon D850’s full-frame sensor. That means lenses of similar focal lengths tend to be smaller and lighter for the D3400’s F mount. The table below shows the size and weight differences between these two Digital-SLRs. Nikon D3400 Width: 4.9” Height: 3.9” Depth: 3.0” Weight: 15.7 oz. Both cameras have very different designs and ergonomics. From the top view, you can see that the D3400 doesn’t have an LCD panel. And the main dials for these cameras are on opposite sides. There are significant differences at the rear too. The Nikon D850 is noticeably busier—though not cluttered—and has a larger eyecup. It also has an articulating touchscreen with hinges at the top. The bigger size and extra controls don’t mean the D850 is the obvious choice for everyone. Smaller cameras with simpler layouts can appeal to many photographers too. A camera’s body, its ergonomics, and physical controls are only part of the picture. Image quality, modes, functions, available accessories, and personal preferences are other deciding factors. This section is where you get to see why there’s such a huge price differential between these cameras. The D850 boasts over 30 standout features that the D3400 falls short on. The difference in sensor size is no minor detail. The D850 has a 46MP max sensor resolution. That translates to over 90% more pixels compared to the D3400’s 24MP. Now for connectivity options. The D850 has WiFi and NFC (Near Field Communication) connection. These allow smooth and secure wireless connectivity with other compatible devices. Nikon’s D850 beats the D3400 with its rear LCD. It’s an articulating screen that allows for creative shooting and composing shots from awkward angles. It’s a touchscreen LCD to boot. Touchscreen technology is fast and easy for navigating menus and controlling camera functions. The D850’s rear LCD screen is also 0.2” larger than the D3400 at 3.2-inches vs. 3-inches. There’s a top-mounted LCD panel on the D850 as well. That’s convenient for checking and changing settings. Top LCDs are especially useful when using a travel tripod at waist level and for macro photography. Sports and action photographers favor the D850’s superior shooting capability. Its maximum shutter speed is 1/8000s to the D3400’s 1/4000s. It also has a fast in-body AF (autofocus) motor. Continuous shooting is faster with the D850 by 2fps (frames per second), at 7.0fps vs. 5.0fps. And the 1840 shots from a single charge gives the D850 an extra 640 frames to the D3400’s 1200. The D850 has more external features to offer than the D3400. There are the microphone and headphone ports. These give DSLR videographers more control and the option to record high-quality audio. There’s also a flash sync port to give photographers more creative off-camera lighting control. And the D850’s illuminated buttons can be a blessing for those who shoot in the dark. Dual storage slots provide the D850 with more space to save data. It also supports UHS memory cards that write and read data at ultra-high speed. The D3400 only has one image storage slot and no UHS support. Another valued feature the D850 has that the D3400 lacks is a weather-sealed body. Protection from splashes, dust, and dirt gives photographers more confidence when shooting in inclement weather. Viewfinder coverage is more accurate with the D850 at 100% to the D3400’s 95%. And the D850’s optical viewfinder is a pentaPRISM type which is brighter than the D3400’s pentaMIRROR. The Nikon D850 boasts better focusing ability. It has 142 more focus points than the D3400 (153 vs. 11). More focus points are useful for action shots or when shooting any person or thing that moves. Autofocus micro adjustment (AFMA) is another valued feature of the D850. 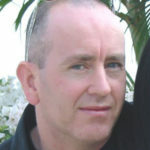 It gives users the opportunity to fine tune small errors in front or back focus. AFMA is most valuable with wide apertures that have a very shallow depth of field (DOF). Macro or extreme close-up photography benefits from AFMA because of its ultra-thin DOF. Focus Bracketing or stacking is another feature the D850 has that the D3400 lacks. Being able to shoot multiple photos at shifting focus points ensure the camera catches the perfect in-focus shot. Focus Bracketing is also useful for macro photography where precise focus becomes tricky. The final focus advantage for the Nikon D850 is the Autofocus at f/8 aperture. Autofocus at f/8 aperture improves the camera’s ability to autofocus (AF) in lower light. It can AF with a smaller f/8 aperture rather than f/5.6. It also makes autofocus with teleconverters possible. Nikon’s D850 reigns over the D3400 with its photo and video superiority. Creative photographers are sure to value the time-lapse recording feature and the 8K time-lapse mode. An 8K time-lapse mode lets photographers create stunning 8K resolution time-lapse videos. These time-lapse features are not things an entry-level DSLR like the D3400 could afford. The D850 has higher color depth; 26.4 to the D3400’s 24.8. It also has a higher dynamic range; 14.8 to 13.9, and better high ISO performance; 2660 vs. 1192. Video resolution is higher with the D850; 3840 x 2160 vs. the D3400’s 1920 x 1080. The final plus for the D850 is its AE Bracketing (AEB) that can prove invaluable in low light. That concludes the Nikon D850’s advantages over the Nikon D3400. Now you can see why there’s a price difference of thousands rather than hundreds. These really are two different cameras. Nikon’s D3400 still has plenty to offer as a capable entry-level DSLR. There are only three advantages the D3400 has over the D850, namely flash, size, and price. The D3400 has a handy built-in flash. Professional photographers don’t often use pop-up flash, but it’s still useful. It can mean the difference between getting a spontaneous shot or not. The smaller size and lighter weight of the D3400 make it more portable and comfortable to wear. Women and men with smaller hands will also find it easier to hold and operate than the larger D850. The final advantage the D3400 has over the D850 is its much smaller price tag. Most non-professionals can’t justify the cost or the range of high-end features of the D850. It’s unlikely that anyone is on the fence over which of these cameras to choose. It’s still useful to see what makes these two Nikon DSLRs tick and to understand their differences. All cameras have their pros, cons, plus, and drawbacks. Comparison guides like this one highlight all shared weaknesses as well as shared strengths. However, these are not Nikon DSLRs from the same family. Yes, the D3400 is a capable entry-level camera. But Nikon targets its D850 at the semi-pro and professional camera level. That suggests they don’t share too many advantages and even fewer weaknesses. The only one I could find is that neither has built-in sensor based image stabilization (IS). So, anyone who wants image stabilization must invest in lenses with optical stabilization (OS). Nikon lenses with OS have a VR marking on the side that stands for Vibration Reduction. VR lenses cost more than non-VR d3400 lenses or d850 lenses. Nikon currently has 287 native lenses for its F mount. Out of these, there are 88 lenses with vibration reduction. Anyone familiar with Nikon cameras knows that the feedback for most of its DSLRs is positive. It’s no different with the D850 and D3400. There are fewer reviews for the D850 due to its niche appeal. Photographers who invest in the D850 love it, and it’s not usually the first Nikon DSLR for most. It’s why reviewers often make comparisons with other models they currently own or have owned. There are plenty of “shared” likes, though. The near flawless image quality is one of the first things reviewers mention in their feedback. However, most of the collective praise relates to camera features. The D850’s articulating touchscreen gets a big thumbs-up from most photographers. Screen brightness, fast autofocus, the beefy grip, and decent battery life are others. The shared negatives are few and far between. Not everyone’s a fan of the rolling shutter and Snapbridge battery-draining image transfer. A few even moan about the missing built-in flash. The D3400 has a lot more feedback due to its broader appeal and affordable price tag. Reviewers write about the camera’s user-friendliness, small size, and lightweight. You can always tell how well-received a DSLR is by the length and quality of its reviews. People who take the time to write—and upload photos to support their feedback—tend to be happy campers. The colorful adjectives used to describe the Nikon D3400 tell us lots. Amazing, phenomenal, great, perfect, and outstanding are just a few. Many D3400 users are also first-time DSLR owners. The camera receives a few personal gripes, but there are very few shared complaints. Some wished for an articulating touchscreen, and others would have liked to see an external mic port. Overall, there aren’t any significant disappointments from anyone who bought the camera new. These reviews are invaluable as they tell us things the makers never would. Feedback for the Nikon D850 and D3400 is near perfect for each model but for very different reasons. This guide isn’t a typical either/or camera comparison. Its purpose is to evaluate two popular Nikons and show the reasons for the significant price difference. Anyone at the entry-level is likely to be more than happy with what the D3400 has to offer. Likewise, a professional who shoots with the D850 may even find the D3400 useful as a backup camera. Also, beginner camera users who have learned adopting the D3400 may consider the D850 if they’re going pro. By now they know their style, needs, wants, and expectations.